WATER TREATMENT PLANT. This is the water treatment plant of Richli Corp., the P1.5B waterworks project in Patrocinio, Cortes town which will supply water to Panglao and Dauis towns. 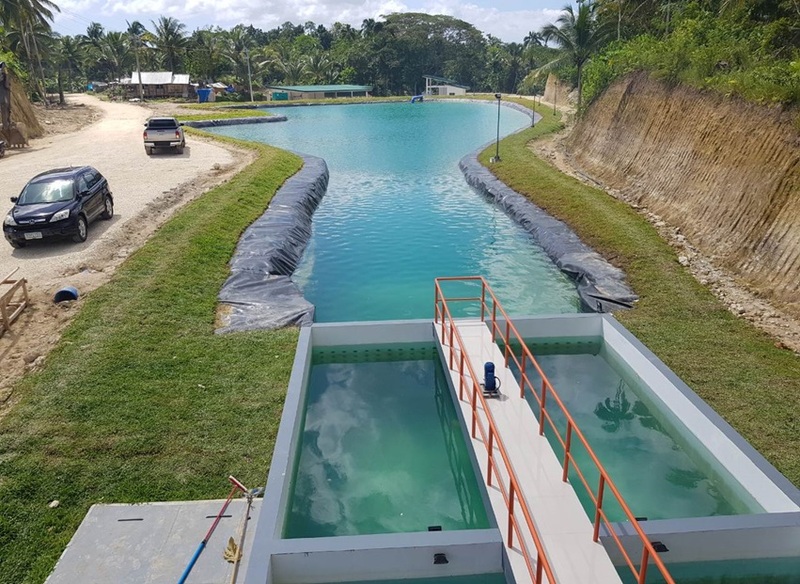 The P1.5 billion water project that will supply water specifically to Panglao and Dauis towns gains headway as its water treatment plant will be inaugurated on Wednesday morning in barangay Patrocinio, Cortes town. Secretary Ernesto Pernia of the National Economic and Development Authority(NEDA) arrived as guest of honor during the inauguration of the P150-million water treatment plant. The massive water project which will source its supply from excess water flowing from Malingin River located in Barangay Patrocinio, Cortes will provide potable water to more than 90,000 residents. The National Water Resources Board (NWRB) granted water permit no. 024274 on October 26, 2017 signed by NWRB Executive DirectorDr. Sevillo D. David, Jr. on the strength of Board Resolution No. 001-0806. The water permit granted Richard B. Lim, Jr. to use water from Malingin River not exceeding 300.00 liters per second by diverting the water by means of intake structure with the diversion point located at Patrocinio, Cortes. Richli, a Boholano owned corporation, who has been instrumental in bringing the project to full realization is now set to sign a contract with the municipality of Cortes represented by Mayor Iven Lim and Patrocinio Barangay Captain Catalina Chatto for the use of its water resources. The more than 5000 high-density polyethylene (HDPE) pipes will be laid underground covering 32 kilometers of main transmission lines starting in Barangay Patrocinio, Cortes ending at Barangay Bolod, Panglao. Distribution lines will stretch to 300 kilometers.